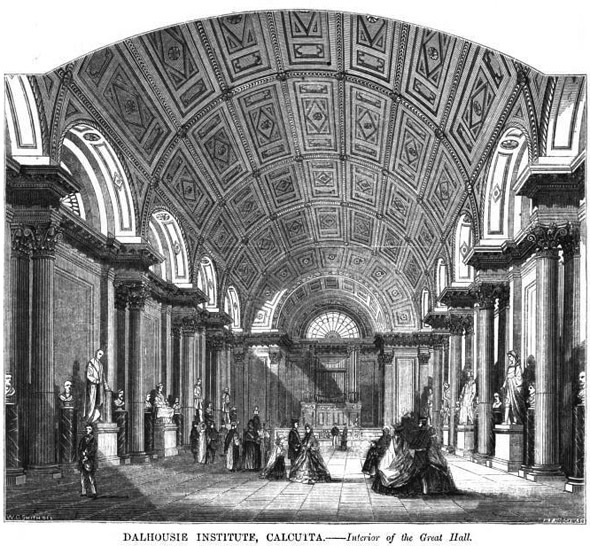 The Sailor’s Home in Calcutta, a destitute seamen’s asylum, was situated till 1839 where the Metcalfe Hall stands now at no.12 Strand Road. 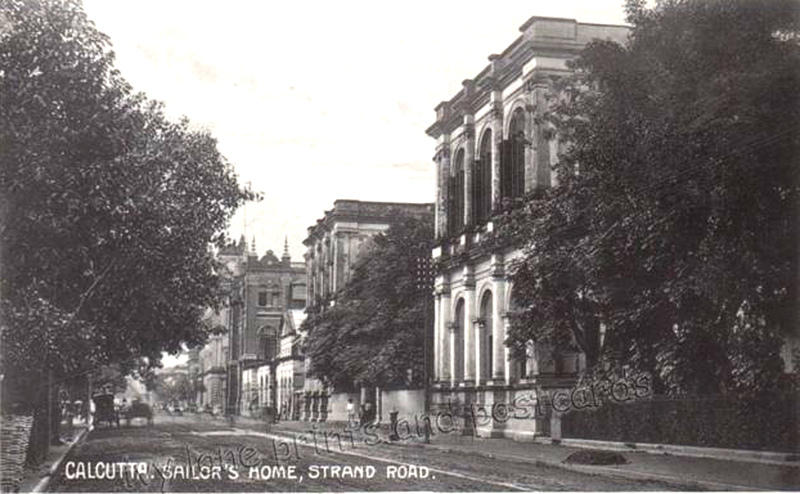 The Sailor’s Home moved to another building just north of the junction of Strand Road with Hare Street, as seen in this photograph, facing riverside. 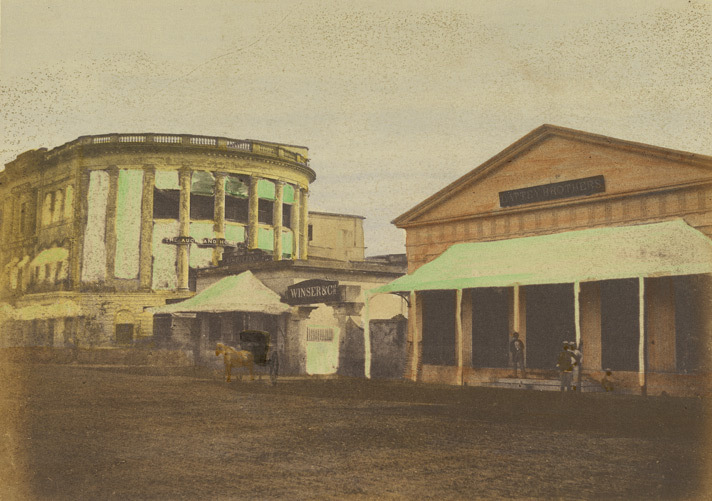 In late 19th century the Sailor’s Home, which was then in dilapidated state, was pulled down and replaced with the Magistrate’s Court. 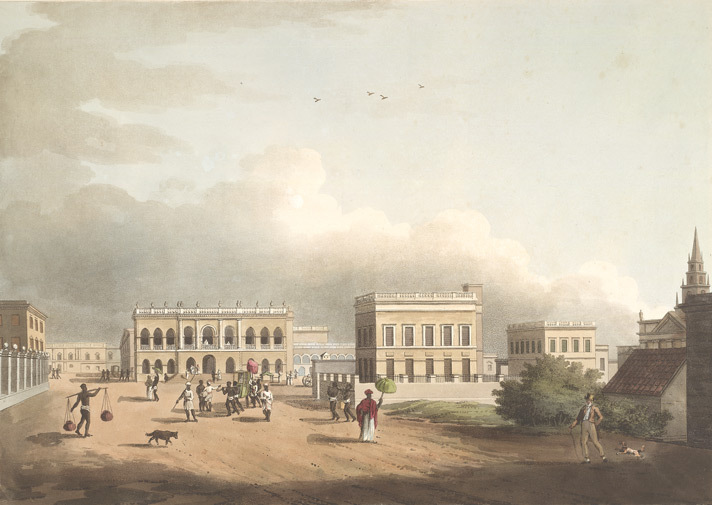 Auckland hotel was established in 1840 or 1841 by David Wilson as the Auckland Hotel, named after George Eden, 1st Earl of Auckland, then Governor General of India. Prior to opening the hotel, Wilson ran a bakery at the same site. 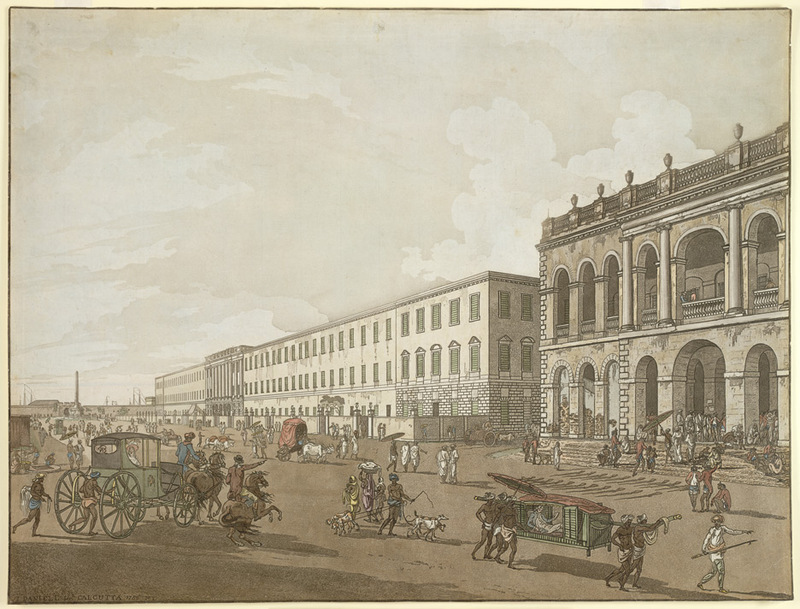 It was established as a rival to Spence’s hotel, which was the first hotel in Calcutta. The hotel was has had many illustrious guests including Mark Twain. 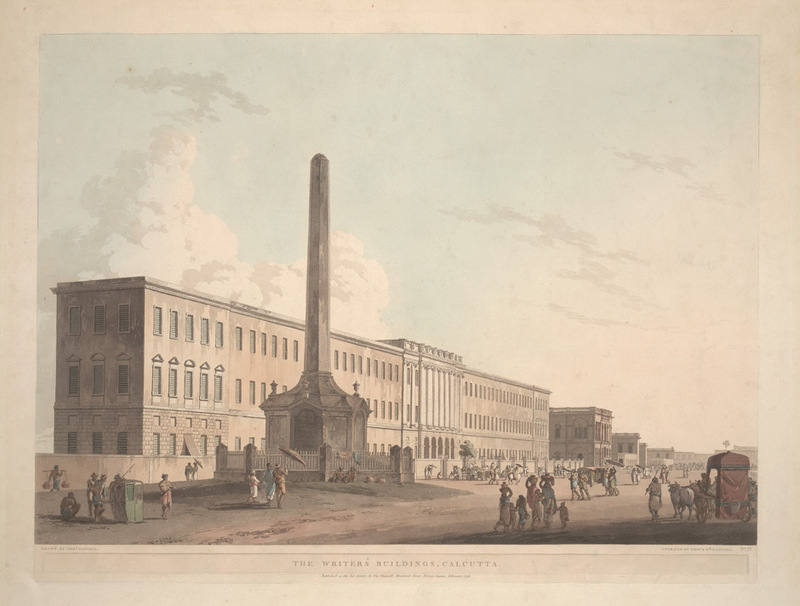 This is a hand-coloured print of a view looking north along Old Court House Street towards the Auckland Hotel. 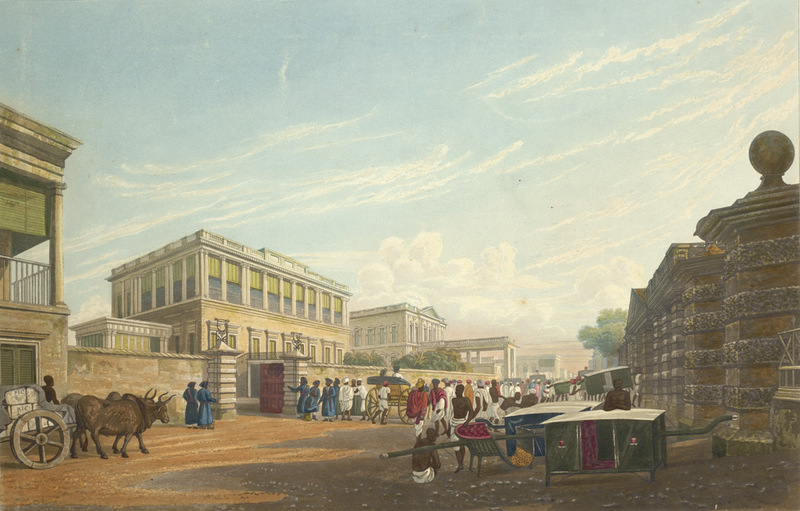 The premises of Winser & Co and Lattey Bros are in the foreground. 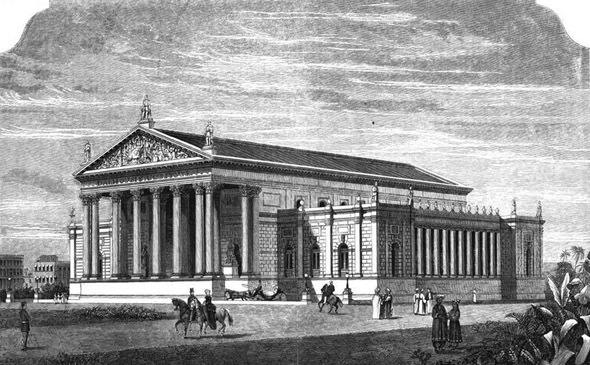 Photograph was taken by Frederick Fiebig in 1851. 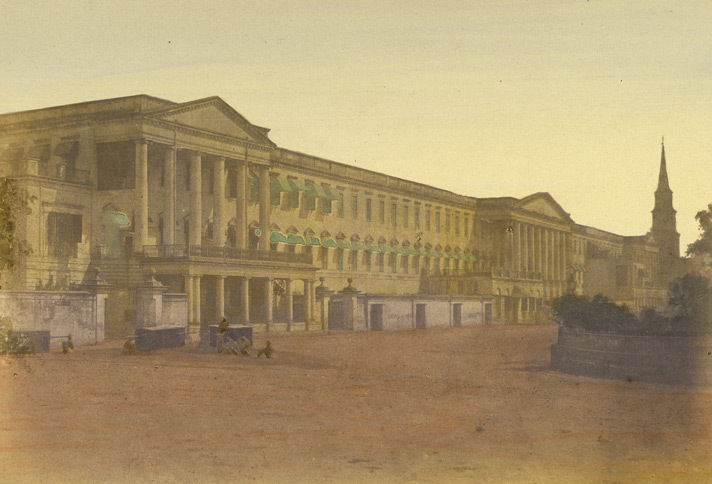 Spence’s, the first ever hotel in Asia was opened to the public in 1830 by John Spence. 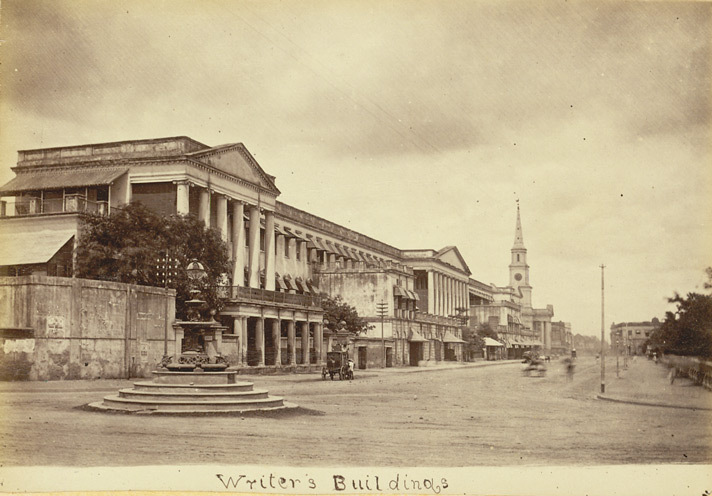 The Treasury Building, originally meant for the Finance Department of the British India and recent abode of AG Bengal, was the site where the Spence’s Hotel was located. This imposing edifice with its magnificent gothic arches and beautiful mansards at each end of the long cloisters running along quadrangles was erected between 1882 and 1884 by architect M.E Martin during the Viceroyalty of Lord Ripon. The Architect was Mr. E. J. Martin. 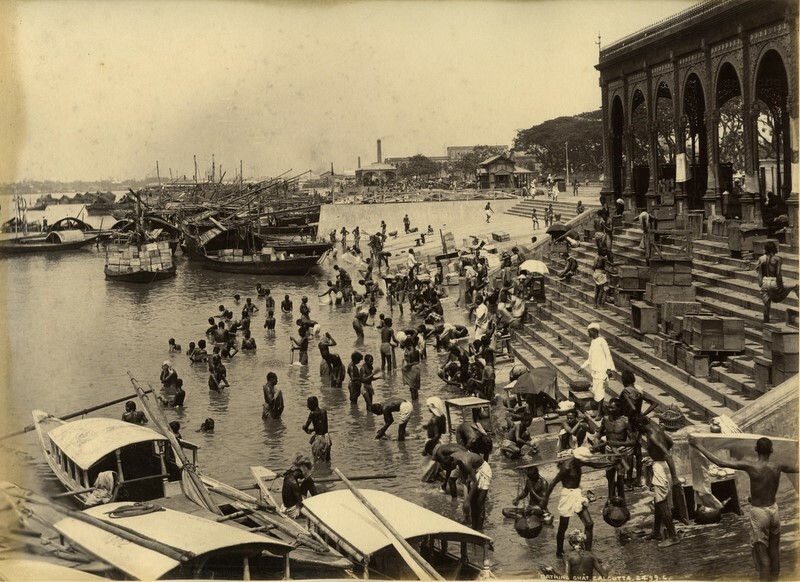 It was necessitated due to the large numbers of visitors coming to Calcutta from Britain and other parts of India. 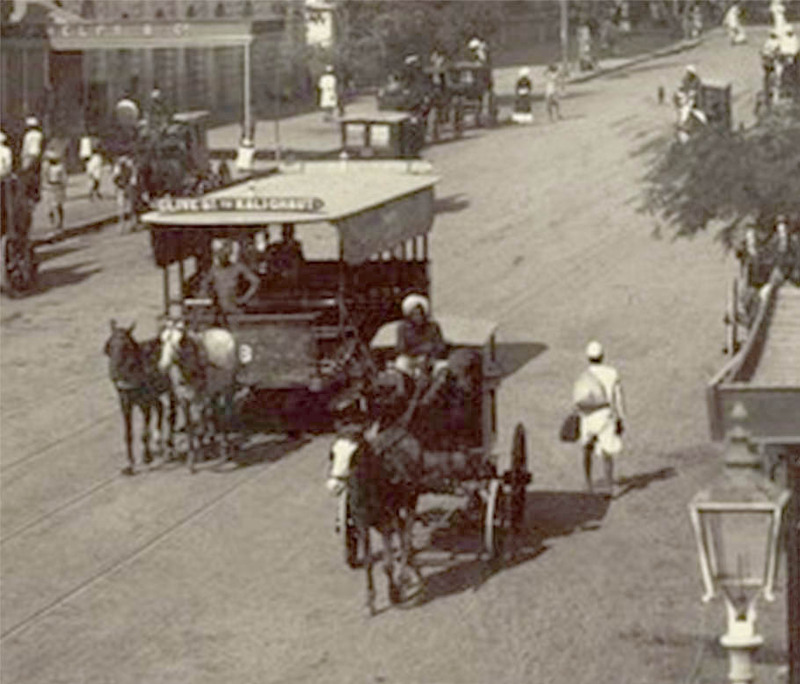 Spence’s was considered definitely the best in Calcutta. 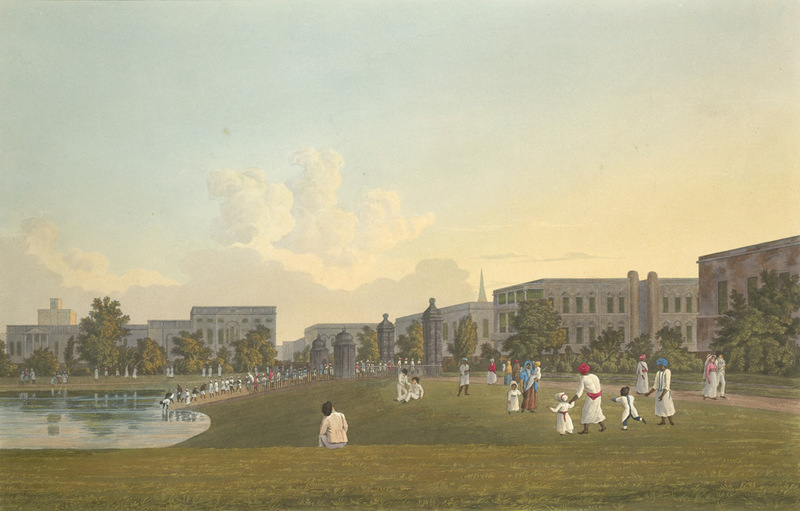 As the Government encroached on buildings around Government House, Spence’s Hotel was moved to Wellesley Place near the Governor’s House before eventually being demolished. There is a reference to Spences Hotel in Jules Verne’s ‘The Seam House’ dated 1880. 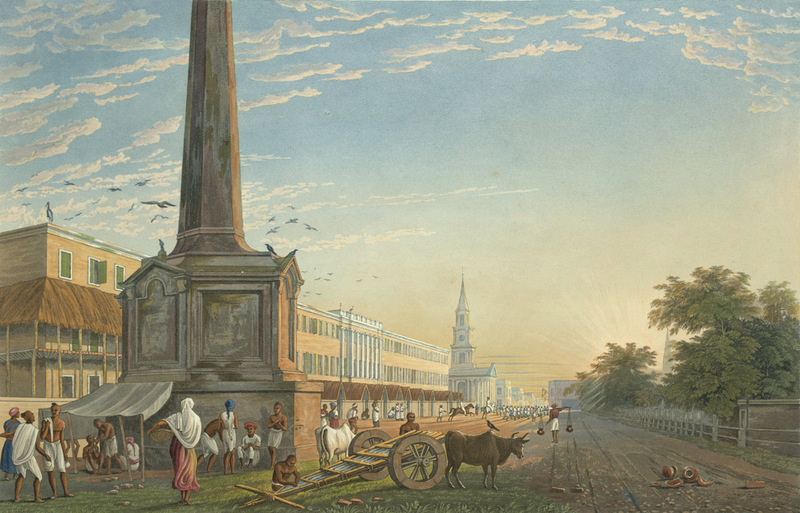 The author writes ”…before dawn, on the morning of our start, I left the Spences Hotel, one of the best in Calcutta which I had made my residence ever since my arrival”. 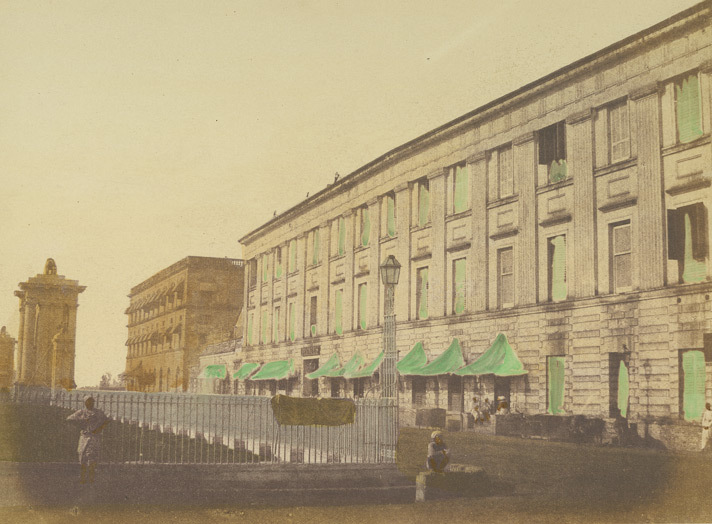 Chevalier Federico Peliti was a Manufacturing Confectioner, a purveyor of cakes, chocolates etc by appointment to Her Majesty the Queen Empress. 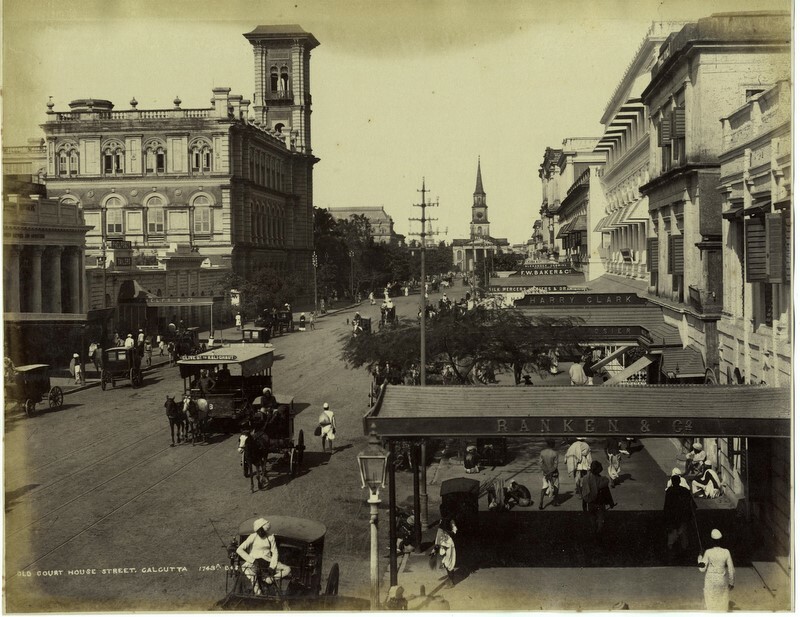 He started his restaurant and confectionery business in 1870 at 11 Government Place in the Dalhousie Square area of Calcutta. 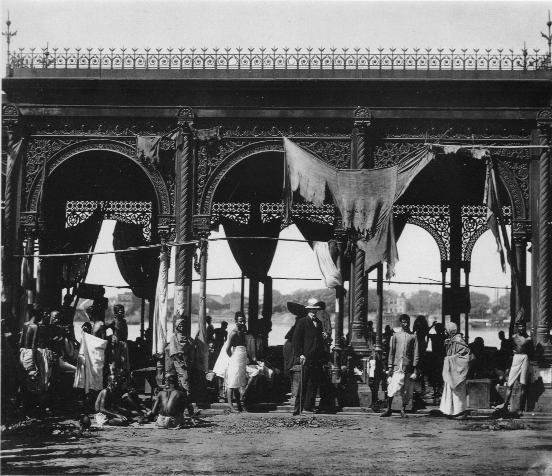 The Pelitis’ was famous for their three course lunch which could be had very quickly at Rs 1.50. The price remained static from 1917 till about 1924. If we consider that the Firpos’ used to cater a similar lunch for Rs 2.50 in 1947 then you will realise that Peliti’s was not really cheap. The Peliti’s did a lot of outside catering and the variety of their cakes was well known. A great masterpiece of Peliti was a 12′ high replica of the Eiffel Tower in sugar, crafted by the great man himself in December 1889. 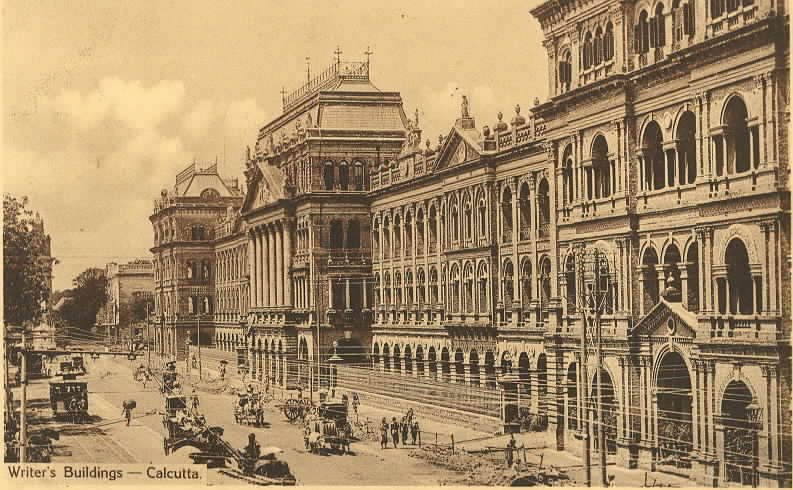 It was here at a lunch meeting on 26-Sep-1919 that the Rotary Club of Calcutta was organised thus ushering in the movement in India and indeed the mainland of Asia. 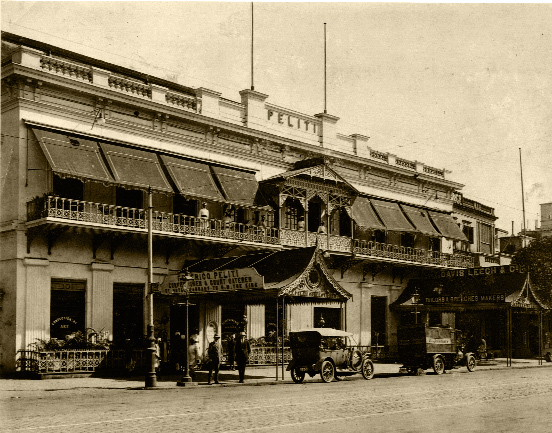 Peliti’s restaurant closed down after Independence.